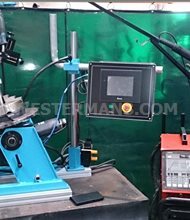 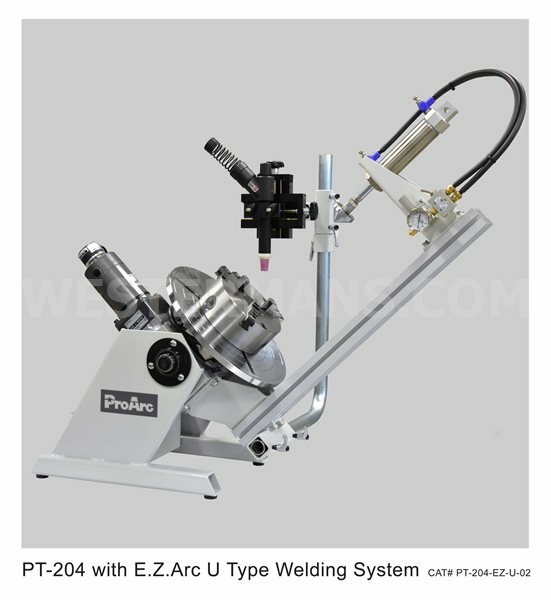 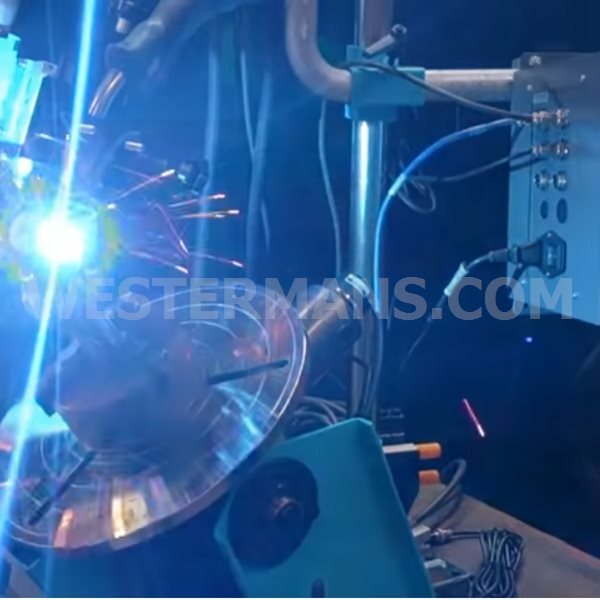 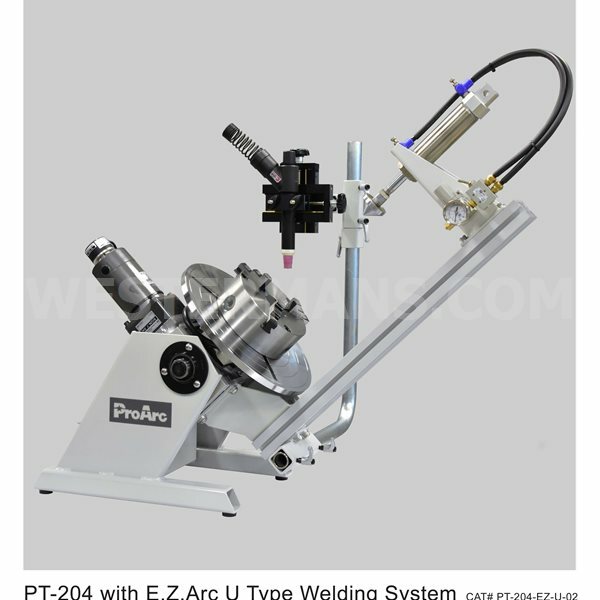 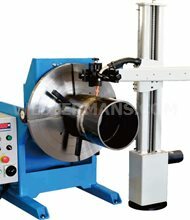 They U type system is ideal for welding circumferential parts that require welding on an angle. 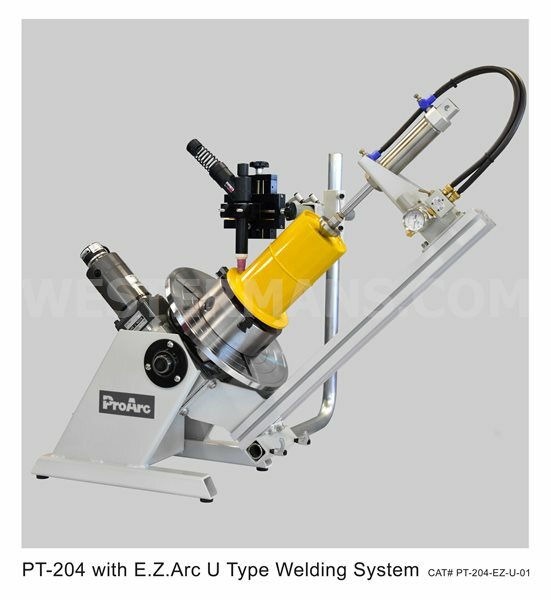 Using a welding positioner and chuck to clamp the work piece, the torch is stationary while the positioner rotates and the weld is complete! 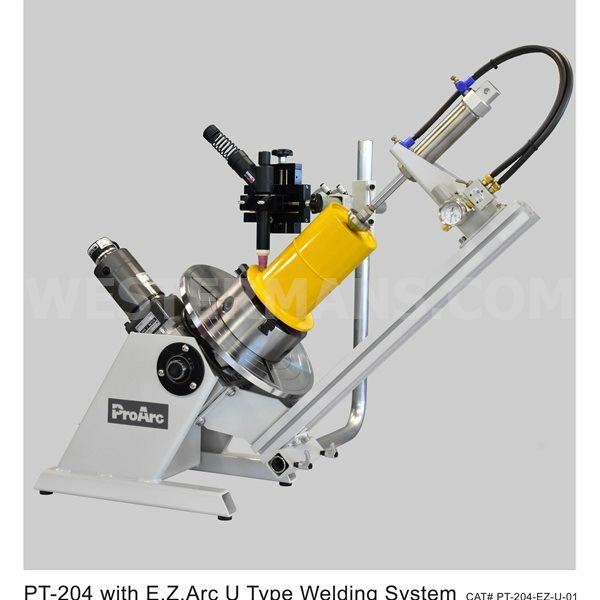 Work pieces are easily loaded and unloaded creating an efficient welding solution. 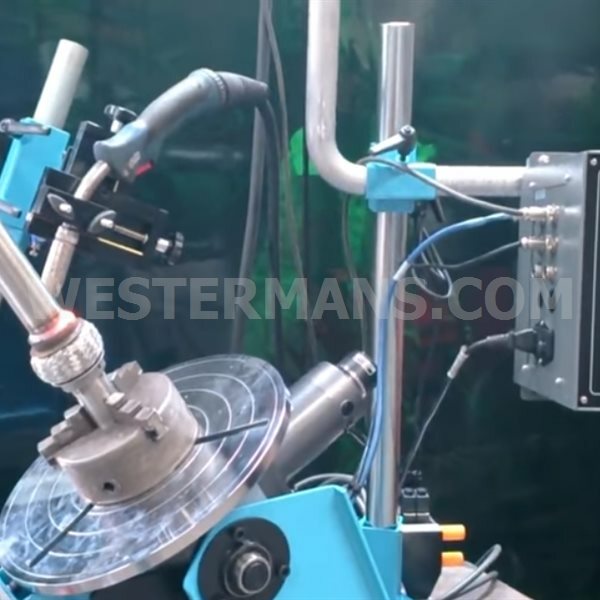 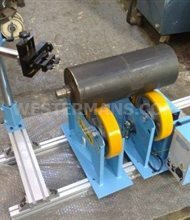 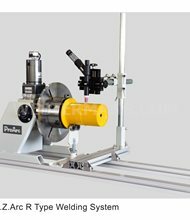 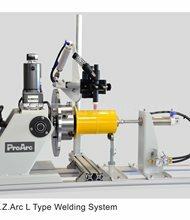 The special capability of this system will help you produce high quality circumferential welds and provide the advantage of fast pay-back, safety and less worker fatigue. 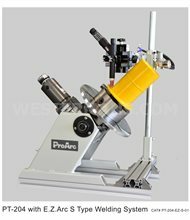 support bracket, cross bracket, 2 x slide 50mm stroke, V-block torch holder, tailstock 75mm stroke. 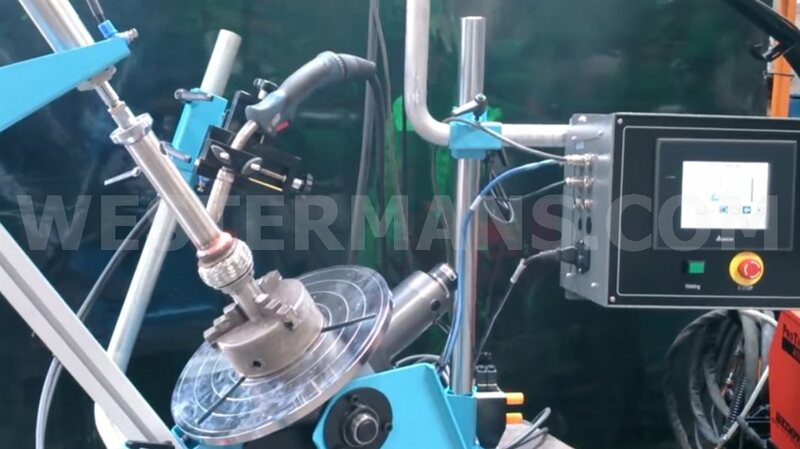 Pneumatic torch movement (lift and actuator), CB102 sequence controls and CB107 fully automated controls. 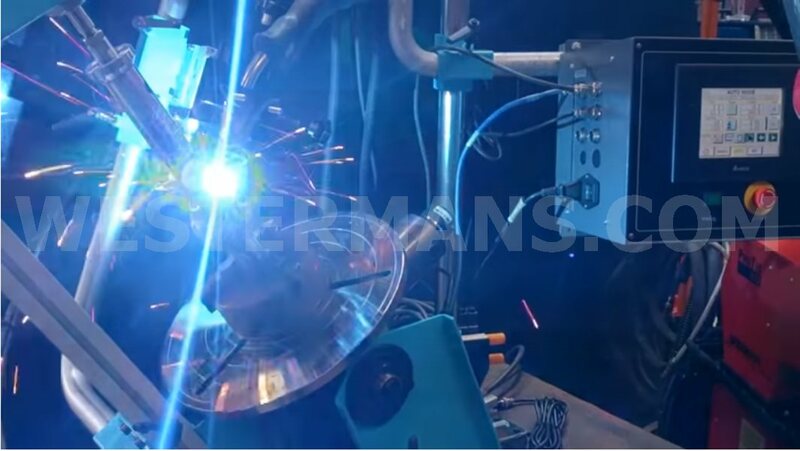 Welding power supplies also available, contact us for full details or to discuss your requirements.